Whether youâre a new manager or looking to have more influence in your current management role, the challenges you face come in all shapes and sizesÂa direct reportâs anxious questions, your bossâs last-minute assignment of an important presentation, or a blank business case staring you in the face. To reach your full potential in these situations, you need to master a new set of business and personal skills. 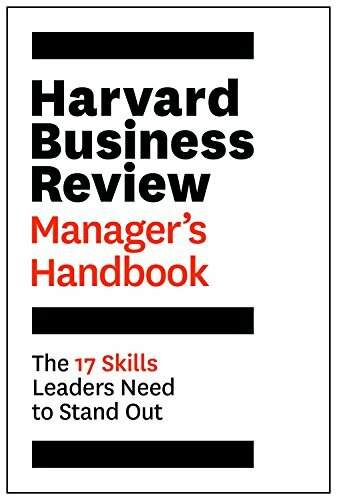 Packed with step-by-step advice and wisdom from Harvard Business Reviewâs management archive, the HBR Managerâs Handbook provides best practices on topics from understanding key financial statements and the fundamentals of strategy to emotional intelligence and building your employeesâ trust. The bookâs brief sections allow you to home in quickly on the solutions you need right awayÂor take a deeper dive if you need more context. About: The one primer you need to develop your managerial and leadership skills.